Entrepreneurship is one of the Tanum municipality’s most prominent characteristics. The fact that there are more than 2,200 businesses, and a population of 12,700 gives evidence of the people of Tanum being eager to take initiative and do business. The number of people increases to a fivefold during the summer months, and there’s a potential for more entrepreneurs establishing themselves in Tanum on a permanent basis. Commerce is a growing sector. In the summer of 2014, a shopping centre along the E6 outside of Tanumshede, with 40,000 square metres of shop surface will be finalised. The proximity to Norway increases the pressure on commercial activities and housing. The municipality is especially rich where cultural entrepreneurs in all art forms are concerned. At the art schools of Bottna and Gerlesborg you’ll find ateliers and co-operative workshops. Tourism is significant. Tanum has many tourist attractions, such as the rock carvings (petroglyphs) in Tanum’s World History area, with more than 500 locations with rock carvings, and a total of ten-thousands of carvings. Over 100,000 people from all over Europe come and see the petroglyphs each year. Entrepreneurial spirit is the Tanum municipality’s most important characteristic in terms of expertise. There are plenty of energetic people around, who are prepared to set up and run their own business. Around a core of people such as these, small and medium-sized businesses in trade, industry, handicrafts, tourism and culture have been set up. 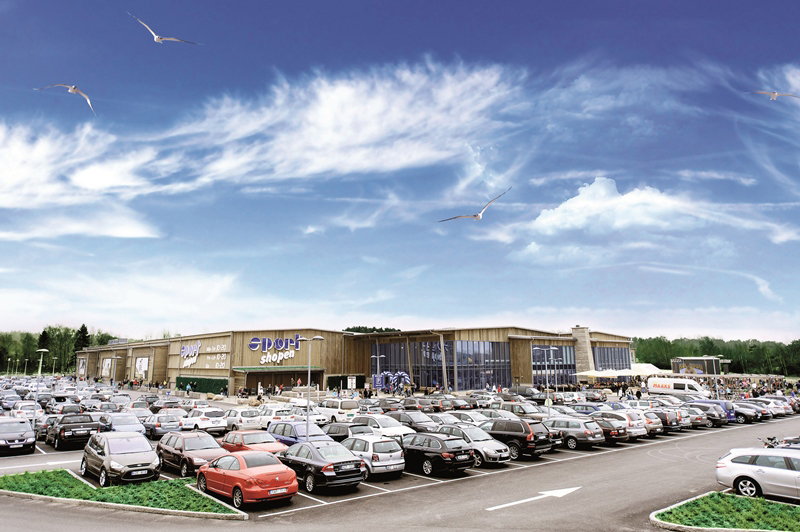 A good example is the Sportshopen in Grebbestad, which is the Nordic Area’s largest sports shop. Tanumstrand, outside of Grebbestad is the largest hotel and leisure facility between Oslo and Gothenburg. The fact that culture is an important sector for entrepreneurs, is partly due to the attraction that the Gerlesborg Art School has. Most of Sweden’s artists have studied or worked there. Arts education is at a high level here. The municipality also has a strong industrial tradition. Tetra Pak, that manufacture packaging material and Nordan (formerly Tanums Fönster), that manufacture specially made windows, are the largest operations. Tanum’s municipality is planning for several new areas for trade and industry. This is due to the fact that the demand for this type of land is bigger than the supply, and that the municipality has decided that such land should be available in all larger communities. Amongst the areas that will be ready first are those that will be created around the new shopping centre along the E6, close to Tanumshede. Planning provides for more new areas in Grebbestad, Fjällbacka, Hamburgsund and Rabbalshede. Östad and Bullaren have land available. Premises for industrial and commercial purposes, and spaces in the business hotel in Tanumshede can be rented from private entrepreneurs. Tanum Turist, with its 260 member companies, is an important network for those who work with tourism. Tanums Näringslivsråd (the Tanum Council for Trade and Industry) provides the core in the cooperation between trade and industry and the municipality. It’s a body for cooperation in the field of common development and growth matters, and the sharing of ideas and information. The Näringslivsrådet is also an advisory body with respect to municipal decisions concerning development and trade and industry. The entrepreneurs organisation Företagarna has many members in Tanum’s municipality and the cooperation with different players is of great importance. All larger towns in the municipality have a community association. The associations play an important role and are very dedicated to working with current affairs and the development of their home town. In the cultural sector, we find amongst others the networks Konstnärernas Kollektivverkstad Bohuslän and Konstvandring in Ranrike. Both have hundreds of contacts in the world of the arts and represent the visual artists’ best interests. Apart from this, there are a great many informal networks between entrepreneurs in the cultural sector. In Tanum, situated in the northern part of Bohuslän, you’ll find a wide variety of settings you could choose to live in: coastal landscapes and the archipelago, midlands with farmland, forest areas and lakes. This is also the place where Tanum’s rock carvings are located, which have been on Unesco’s World Heritage list since 1994. The southern part of Sweden’s first marine national park, Kosterhavet, also belongs to Tanum’s municipality. In several of the municipality’s communities, rented and/or co-operative apartments are available. For those who are looking for freehold properties, there’s a supply of building plots and the real estate agent always has homes for sale. Thanks to the E6, the dense road and railway network, connections are good in all of Tanum’s municipality. By car, it takes 1.5 hours to Oslo or Gothenburg. Four international airports, Landvetter, Säve, Rygge and Gardemoen can be reached within 2.5 hours. The cultural offering in Tanum’s municipality is bigger and broader as one would expect from a municipality with slightly more than 12,700 inhabitants. There’s a lot to experience, above all for those who are actively on the look-out. This is one of the municipalities in the country with most people working in the cultural sector, with a high concentration of artistic creativity and major global impact in terms of arts, theatre and dance. Many artists decide to work in Tanum before they take their works out into the world. The people of Tanum have always been open to outside impressions, but when it’s about getting things done, they rely on themselves. This attitude reflects very clearly in cultural life. A good example is the previous quarrying industry, which has meanwhile become part of the arts sector.